Just opened and unrolled. It is as pictured and appears to be well made. We have a black dog so I'm curious to see how easy it is to clean. We chose this rug due to the thickness so we could vacuum it without pulling it off the ground. This beautiful rug is unique, stylish and ready to accent your decor with casual elegance. 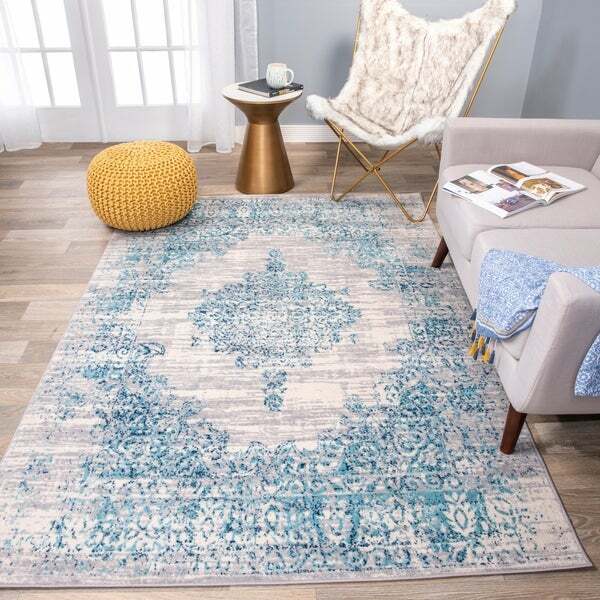 This rug has a unique design that is sure to complement any room in your home and exude a beautiful look from every angle. This rug provides durable performance and easy care at an amazing value. Dimensions 120.0 In. X 94.0 In. X 0.31 In.